Choose from $25, $50, $75, $100, $150, $250, $500, $1,000 & $1,500 leagues. There are no in-season transaction fees or hidden charges. The league you join is the total cost for the year plus a minimal $2.95 league management fee per user per league. League Management includes the time spent managing the leagues including scheduling, trade approvals, live scoring updates, free agent market, player database management and other management duties. FFF spends countless hours in providing a fun, fair atmosphere with prompt customer service and the league management fee is used so we can continue to provide the service expected as FFF continues to expand and incur additional, rising costs of conducting business throughout the years. The Top 3 Payout Leagues (3 Payout) pays the 2 owners that participate in the week 16 fantasy bowl and the 3rd place owner that wins week 16 in the consolation bowl (the consolation bowl consists of the 2 owners that lost in week 15). The regular season points leader also receives a payout. You are responsible for fielding the most competitive team possible from the draft to the end of the season, Failure to do so and/or purposely dropping better fantasy performers for players that are not fantasy relevant could lead to the cancellation of your membership at member's expense. When requesting a private league, you will be given the option to choose your own starting lineups. Our software accommodates custom leagues that draft anywhere from 15 to 22 players and allows starting flexible lineups from 8 to 12 players. - Live drafts - schedule a draft when you are available. - Live drafts typically take around 2 hours. Auction style may take longer. - Live drafts allow you to view players by FFF rank and alphabetically. - Slow drafts show alphabetical view only. Some request to draft without FFF preset ranking of players as it may require more skill to draft. - Slow drafts allow more flexibility for those who can't draft at a certain day and time while others like the fast-paced draft of a live draft. - Slow drafts allow 8 hours per pick. - The only difference between these leagues is the method in which you draft. Once the draft is complete, the league is run exactly the same. - Once you join the league, find out your random draft position. - Draft order will reverse every other round. If you pick 1st in round one, you will pick last in round 2 on so on. - You have 2 minutes to select a player for the real drafts (1 minute for mocks). - You have a $200 budget to build your roster of 18 players. - Each team will take turns to nominate players. - Once a player is nominated, every team has an equal chance of bidding for the player. - A player will go up to bid for the default setting of $1. You can change the amount of the nomination when it is your turn to nominate. - You have 25 seconds to nominate a player. - The clock resets to 25 seconds to start bidding on the player. - Bids are in increments of $1 or greater. You can type in a higher bid if you choose. - Once the clock has fewer than 10 seconds and a bid is made it resets to 10 seconds. - Once the clock reaches zero, the last bidder (which is the highest bid) receives the player. - Max Bid is the most you can bid on a current player up for bid. If you don't see a league that you like, you may request a league and invite friends to form a private league. All leagues are listed in Eastern Standard Time. After you sign up and pay for a league, you will find out your random draft position for the serpentine (SNAKE) style draft. You may request to swap an entire draft position with another owner. Both teams must agree to this at least 6 hours before the draft is set to begin. This is to swap the entire draft position and not individual picks. You cannot swap individual picks at any time or players during a draft. As with all the other rules at FFF - these rules are in place to prevent owners that may know each other to "help" each other out or make one of the teams stronger at the expense of another team. What if a league doesn't fill? Most leagues fill. We have over a 98% success rate of filling leagues as scheduled! Even if a few days before draft time (and sometimes even a few hours) a league isn't close to filling, it'll likely fill. FFF will inform you in advance if it appears a league may have trouble filling and give you the option to draft at a later date in the same league or to move to another league of your choice. If no options remain, then your account could be credited or a refund will be given. Why do you ask for all the information when registering? If you are registering, you are most likely interested in joining a league. If you join a league, you have a great chance of receiving a payout and we will need the info to send your winnings. Don't worry, the only time we use your registration information is to send you your winnings. We do not sell your information or spam you in any way. I paid for my team but I didn't get to enter my team name? This occurs if your browser settings is not set to refresh a page upon each time the page is visited or if your session timed out. Go back to the league you joined and click "Join League" again. You should now see the page to enter your team name. If not, you need to refresh your browser by pressing the F5 key. How can I send a message to another league member? Go to the "Message Board / Messages" page in your league and use the drop-down box to select the owner in which you want to send a message. You can submit a request to change your team name by using the "Submit Lineup" link for the league in which you are requesting the change or by going to your team page (after the draft) or your league page (prior to draft). You will see a link "Change Team Name" to fill out the request. Something came up and can't draft. What are my options? We'll be happy to switch you to another league that works for you if enough notice is given to fill the league. You will be switched at your current draft position if available. If not available, you will be transferred to the nearest lower draft position. How is an abandoned team handled? FFF will review on a weekly basis the last logins of league members. If a member has not logged on for at least 10 days, the team is taken over by the computer and a lineup is submitted on time. How is a team that is purposely trying to lose or dropping good players for lesser players handled? Send a message to admin immediately. We'll take care of this. FFF reserves the right to deactivate any member or limit their ability to manage (or mismanage) their team if member is purposely trying to sabotage a league at member's expense . All touchdowns scored by Pass, Rush, or Reception by any member of your starting lineup is 6 points. Offensive fumble returns for TD's and punt or kickoff returns by an individual player are not scored in public leagues. New 2016: Points Allowed (only those points allowed while your DEFENSE or SPECIAL TEAMS is on the field). Example, if an offensive team is on the field and throws a pick 6 that will not count against the defense scoring. Private and Custom Leagues have many choices to customize scoring. You may see the scoring options for these leagues by requesting a league and looking at the option boxes. The live scoring page will automatically refresh every minute. Although live scoring is a great feature to follow your fantasy game, it may not be 100% accurate. Actual results will be confirmed after a review of all the stats. A preliminary stat review will be done after the games are complete and officially reviewed again on Monday. Actual results will be posted after the Monday night game by going to the "Weekly Results" page but stats may change as the NFL reviews stats during the week. Changes may occur until the following Saturday. Players are locked 5 minutes before their games begin. You may adjust your lineup at anytime before the deadline for each players game. ***IMPORTANT*** Since there are Thursday games each week this year, the software will generate your previous week's lineup on Thursdays at 10am ET if you did not previously submit a lineup. IT IS YOUR RESPONSIBILITY TO CHANGE YOUR LINEUP BEFORE THURSDAY NIGHT'S GAME IF YOU DO NOT WANT THE THURSDAY PLAYER(S) IN YOUR LINEUP. This rule change is to prevent members that forget about the Thursday games or have abondoned their teams. As always, only the players from the early games are locked so you can adjust the remainder of your lineup until each game's deadline. FFF encourages you to submit a lineup before Thursday games this year to avoid any possibility of not submitting your desired lineup. FFF uses Blind Bidding - the fairest and most intriguing method in fantasy football. All teams receive $1,000 for the year in Bidding Bucks (not real money). Blind Bidding starts after the 1st week of games are played and continues throughout the season including playoffs - so you should spend wisely. Once the Blind Bidding is over you still may pick up a player in what becomes a 1st come, 1st serve process that stays in effect until 5 minutes before each player's game-time. NOTE: Free agency will begin at approximately 10am EST Thursday after the blind bidding is complete. This is an approximate time and not an exact time. Free agents are locked from each players gametime until the following blind bidding process begins. Free agents are available for pick-up after your draft and before the season begins. Any dropped players in the preseason will not become available until the first regular season week of blind bidding. The team that bids the highest for a player will get him. Since this is a blind bidding process, no one knows what the others are bidding. If you win the bid at $55, and the next highest bid was $18, you still pay $55 for your player. If there is a tie bid, the player is awarded to the team with the worst record. 2nd tie-breaker is lowest total points, final tiebreak is whoever entered the league 1st. You are allowed to bid on multiple players for different bidding buck values for each player you would like to drop. You must have enough bidding bucks to bid on players. You will not be allowed to bid more than you have. When a player is cut by an owner, that player will not become available again until the next Blind Bidding process. This will alleviate any problems with someone purposely dropping a player for a buddy who amazingly picks the player up that was just cut 5 minutes ago. IMPORTANT - It is the owner's responsibility to reset your starting lineup once you acquire your new player(s). You may pick up as many free agent players that you would like once the Blind Bidding process is over and before the free agent's game is played that week. The cost is $10 bidding bucks for any free agent not picked up during the Blind Bidding process. Weekly trading deadline is Friday 11PM EST. All trades have a minimum 24 hour approval process (see below). It is the owner's responsibility to reset your starting lineup once a trade has been approved. *** IMPORTANT *** Due to the addition of Thursday games each week, trades involving ANY player (starter or bench) in Thursday games must be agreed upon and submitted for approval by Tuesday night, 11pm ET in order for the trade to be approved for that week. All trades not agreed upon by this deadline that has ANY player in the Thursday games will be deleted. The trade can be proposed again the following week. Trades that have not been accepted or rejected before the deadline will be deleted. This will alleviate any issues of owners receiving offers but not responding and waiting until the opportunity to jump on the trade once they see it benefits them due to a players injury status changing. A trade will not be approved if any players involved in the trade are injured, suspended or any other reason that may keep them out a signifiacnt amount of time after the trade was proposed. All trades will be reviewed and must be approved. An e-mail will be sent to all members of the league when a trade has been accepted. Any member of a league may protest the trade during a 24 hour period. If there is no protest and FFF believes the trade is fair, the trade is allowed. If a trade is protested, the owner protesting the trade MUST GIVE A VALID REASON why they think the trade cannot help one of the teams or show signs of collusion for the veto to be considered. A valid veto is a veto explained in detail how a trade cannot benefit one of the trading teams. If FFF agrees or is able to see the side of the protestor, FFF will then ask either both owners or just the owner perceived to be getting the lesser end of the deal their reasoning for the trade. If FFF is satisfied that the trade is fair, the trade will stand. If FFF is not satisfied with the answers, FFF can reject the trade and will ask the parties to try and work another deal that would be fair. - One or two words how a trade is dumb is NOT a valid explanation. - The number of vetoes for a trade does not matter. There could be one veto or 5 vetoes and the trade may or may not be approved. - One team is getting the better of the deal is NOT a valid explanation. The purpose of a trade is to make your team better. If a team has surplus at one position - kudos to them, they drafted well and now have excess to trade in one position to improve another. That is THE key aspect in trading. You don't condemn a trade because someone had a good draft. 1) Collusion - an obvious attempt between 2 owners that know each other to improve one team at the expense of the other team. 2) The trade cannot in any way be beneficial to one of the trading teams. 3) There is a valid veto and when the owner who is perceived to be getting the short end of deal is asked to explain why they believe the trade helps their team, the owner replies that it doesn't or has an invalid explanation. 5) There is a pending trade and one of the players playing status (injury or suspension) has changed significantly. 6) Trading partners - 2 teams attempt to trade to help each other cover bye weeks & short-term injuries. 7) The trade will not improve one team because they are trading away significantly more than they are receiving from the other owner. 8) The trade is significantly benefiting one team more than the other. 9) One of the teams has a poor record and is trading away similar or better players than they are receiving to a team with a better record. An 0-7, 0-6, 0-5, 1-6, 1-5, and similar records are considered poor records. 10) There is more than one pending trade involving the same player and the original trade is quite "unequal". Another team comes in and offers a more balanced trade. All trades involving the same player will be thrown out. 11) Once a trade has been submitted to admin for approval, any players involved in that trade cannot be offered in trade again if the original trade was not approved. In other words, a pending trade is vetoed and one of the owners of that pending trade attempts to trade the same player(s) to a different owner. All trades will subsequently be declined since you cannot "shop" trades once a trade has been submitted for approval. 12) A trade involves a player in a Thursday game and the deadline to make the trade for the week has passed (see above rules in trading section). As you can see from the above rules, FFF takes trading seriously. Our #1 priority is to prevent any collusion from occuring. Most trades are approved but some will not. Rejected trades are more likely to happen closer to the trade deadline as some owners are looking to take advantage of struggling teams. Due to the delay of processing trades, it is best to offer trades early in the week to give the most time possible for review of trades and adjusting your lineup. Best Ball leagues are a best ball format geared towards members that like to draft but don't have the time to manage a team or manage any additional teams for the full fantasy season. Leagues will run through week 16 of the NFL regular season. It is up to you how many players you draft for each position. You will not submit a lineup. Your best lineup will be calculated each week after all the NFL games are complete. Flex 10 leagues: your best lineup each week will use a Flex 10 lineup = QB, RB, RB, WR, WR, WR, TE, Flex (RB, WR or TE), K, D.
Flex 9 leagues: your best lineup each week will use a Flex 9 lineup = QB, RB, RB, WR, WR, TE, Flex (RB, WR or TE), K, D.
Payouts will be paid to the top 2 (10 team leagues) or 3 teams (12 team leagues) based on total points for the entire season. There are no head-to-head matchups and no playoffs. NEW 2018: Up to 5 roster changes per season! You will have the opportunity, if necessary, to make a maximum of 5 roster changes. The player must be placed on IR, released by NFL team or suspended for the rest of the season in order to replace the player. You will only be able to replace the player with another player that is on the same NFL team and same position as the injured player. The player in which you are acquiring cannot be on another owner's roster. Using 2017 for an example, Dalvin Cook was placed on IR after week 4. If Jerick McKinnon was not drafted by another team, then he would have been eligible to be picked up to replace Cook. To make a request to replace an injured, cut or suspended player, select the "Replace Player" link on your league's owner page. Payouts are higher than regular season leagues. Keeper leagues use an e-mail draft system. You draft using a draft room to select players and an e-mail is sent notifying when a selection has been made. Predrafting is available for each round. Each team may keep 0 to 3 players each year. Players drafted in round 1 the previous year cannot be a keeper. Players can be kept as long as you have the draft pick to protect him. For each player you keep, you must give up a draft pick 1 round higher than the player's draft position the year before. Ex. If you draft a player in the 4th round this year, you will use your 3rd round pick to protect him next year. Free Agents from the previous year will be protected as an 8th round pick the first year that he is protected. A Free Agent is then treated as any other player and will need to be protected one round higher each year. Any player dropped and picked up at a later time will be kept the following year at the player's highest price tag. Example - Peyton Manning: if he was drafted this year in round 4 then he is a 3rd round keeper next year. Whether he is kept on the same roster for the entire year or released and picked up by another team he would need to be protected at his original draft position. If a player that was drafted lower than the 8th round is dropped and picked up again, the player will still be designated for an 8th round pick. If you are keeping 2 players that would use the same round to protect them, you still may protect them both but you will need to use a draft pick 2 spots higher for the 2nd player. Ex. You kept a player with a 5th round pick the previous year and you traded for a player that also was protected in the 5th round the previous year. To protect that or released and picked up by another team he would need to be protected at his original draft position. Future Draft picks cannot be traded. Keepers must be submitted 72 hours prior to the draft. Returning owners must reserve their team by July 15th. Returning owners must make payment at least 30 days prior to the draft. Keeper league trading follows the same rules as public league trading except for that near the end of the trading deadline, many teams that have no chance at making the playoffs will try to trade for future keeper prospects. Trading top current performers for keeper prospects is allowed and considered part of the game. Playoff contenders will be looking to trade with a non-playoff teams giving up their future keepers to improve their chance for the current year. Some of the trades may sound unfair but to a non-playoff team, getting a future keeper who can be kept for a low draft pick next year is well worth giving up a top player that would have to be protected with an early pick. These types of trades do happen and if you want to join a keeper league you must be aware of this. Traded players keep their keeper status from the previous owner and will require to be kept one round higher than drafted the previous year. All leagues have 6 playoff teams. The division winners and the next best records regardless of division will make the playoffs. See below for tiebreak procedures and Victory Point league determinations. Regular season games that end in a tie count as a tie, making a tie worth ½ win. 2) Higher seeded team coming into playoffs. Victory Points (VP) is an alternate method to determine regular season standings. Instead of determining standings and playoff seeding by record, Victory Points are used instead. The team with the most VP in their division are the division winners. The remainder of the playoff teams (wildcards) are determined by the highest amount of VP regardless of division. Each week, each team can gain as many as 4 VP. 2 VP for a win, 1 VP for a tie, 0 VP for a loss. 2 VP for the top 4 point totals each week. 1 VP for the middle 4 point totals each week. 0 VP for the bottom 4 point totals each week. 2 VP for the top 3 point totals each week. 0 VP for the bottom 3 point totals each week. 1 VP for the middle 6 point totals each week. You will use Fuzzy's customized draft room for your draft. 1) It is best viewable on a higher resolution setting. A high resolution setting will enable you to view the entire Draftroom. A minimum screen resolution of 1280x1024 should be used. 2) Ensure your internet connection is strong. If you experience players missing from the player grid, your internet connection may not be optimal. You can still draft but you may not see everything you should. 3) Disable anti-virus software IF you experience lags and your internet connection is fine. - Some anti-virus software checks every keystroke and movement on your computer. Most of the times it won't affect your draft experience but at times anti-virus software can make your computer run slower and cause slight delays. 4) Do not let the time run down to under 10 seconds. You have 2 minutes to make a pick, have some choices available before it is your turn. 5) If using any mobile device, be advised to try a mock draft to ensure it works correctly. FFF is not responsible for the draftroom not working properly on a mobile device. 1) Player selection - database of all the players worthy of drafting. Player database - Browse the available players in the player section located on the bottom left-hand side of your screen. Click on the different positions to show the players at each particular position. Switching views - There are two ways to view the players - FFF rankings and alphabetically. FFF rankings are the default view and although these rankings are quite good, FFF sleepers may be quite different than yours. Switch to alphabetical view to locate players alphabetized by last name. Populating roster - Your roster is located in the middle-right of the screen and will include the players bye weeks and where you selected the player. Player Grid - This takes up the entire upper-part of the Draftroom and shows all players being selected by all owners color-coded by positions. This make the draft easy to follow. 2) Draft List - use this to speed up the draft and organize a list for yourself before your turn to draft. You may also prerank players prior to your draft and the software will save your list even if you close your browser. To have your "Draft List" chosen for you, computer control must be checked. Computer control is automatically enabled when you are not in the Draftroom or you choose to check the box yourself. The software will select the player that is at the top of the list when it is your turn. Please remember to uncheck computer control when you are finished using your Draft List. IMPORTANT - IT IS NOT RECOMMENDED TO USE A DRAFTLIST TO DRAFT YOUR ENTIRE DRAFT FOR YOU IF YOU CANNOT ATTEND DRAFT. SINCE THE COMPUTER WILL SELECT THE NEXT PLAYER ON YOUR DRAFT LIST AND YOU HAVE 10 WR'S LISTED FIRST THOSE ARE THE PLAYERS THAT WILL BE SELECTED FOR YOU. YOU MUST ORDER YOUR DRAFT LIST ACCORDINGLY AND MIX ALL POSITIONS WITH THE PLAYERS YOU MOST WANT AT THE TOP OF YOUR LIST. 3) Computer Control - you will have full control of this feature when you are in the draft room. If you arrive a few minutes late, you are automatically taken off computer control. The software uses FFF up-to-date rankings. These are legitimate rankings updated often to ensure that the computer will draft players that should be taken at that particular point in the draft. The computer will pick the best available player and will still fulfill all the roster requirements. FFF has the most ingenious computer picks in fantasy football! If for any reason you miss part or even all of your draft, you will still be a contender! 4) Chat - Place your cursor in the bottom right box to type a comment and hit Enter on keyboard or Send to enter your text. 5) Public Leagues will use a 2 minute timer and Public Mock Drafts will use a 1 minute timer. 6) Draft positions are random and will be known after a team has signed up for a league or a mock draft. Teams can swap entire draft positions from the individual league or mock draft homepage. 7) Drafts are serpentine style drafts. The earlier you pick in odd rounds, the later you pick in the even rounds and vice versa. 8) Note: Two people cannot be in the draftroom at the same time (same or different location) with the same logon. You can draft in more than one draft if needed as long as you are using separate windows. - you cannot take time to attend a live draft. - you prefer to take your time in making a selection. - you are new to fantasy football. - your browser is not able to view a live draft. Slow drafts use an 8 hour time limit. A draft room is used to select players which are viewed alphabetically and sorted by positions. An e-mail will be sent notifying you when a selection has been made. You may predraft players for each round at any time before your selection. If you miss a turn, the computer selects for you and will remain on computer mode until you predraft for the upcoming round. FFF uses an internal message system for registered users to communicate with each other while keeping their e-mail address private. The message system is a good way to start some trade talks with other league members or for any other reason you may want to e-mail another member. To send a message, click the messages link on the left-hand side menu bar. Send a message by using the member's username. When a message is sent, the person to receive the message will receive an e-mail letting them know that there is a message waiting for them at the site. A received message is also indicated with a number next to the messages link informing a user the amount of unread messages. FFF offers Weekly Salary Cap leagues. $10 and $20 weekly leagues - 12 and 25 team leagues. Top 3 finishers in each league receives a payout. The salary cap is $100,000. You can choose any players for each position but your lineup cannot exceed the $100,000 salary cap. Scoring will use the same scoring as ppr fantasy leagues. Lineups must be submitted by 1pm Sunday ET for all players. All lineups will be revealed at this time. Changes can made be up until the deadline. If the league does not fill but has at least 2 teams the league will still be held and payouts will be adjusted accordingly with the same percentage of payouts or better. For $10 leagues, if the league is between 1/3 to 1/2 full, payouts will go to the top 2 teams only. If the league has at least 2 teams but is less than 1/3 full, only the 1st place team receives an 85% payout. For $20 leagues, if the league is between 1/4 to 1/2 full, payouts will go to the top 2 teams only. If the league has at least 2 teams but is less than 1/4 full, only the 1st place team receives an 88% payout. Thursday games - if you want to start anyone in a Thursday game, you will submit your full lineup before the Thursday game. You can change the remainder of your lineup before the Sunday games begin. If there is a tie for the top 3 places, the payouts will be split accordingly. 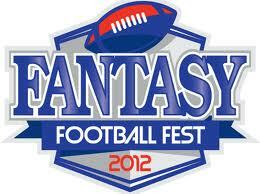 All payouts are deposited in your FFF account and paid out at the end of the fantasy season. You will also have the option to use these funds towards playoff leagues or keep them in your FFF Account until the following season to receive a 5% bonus. Weekly Redraft leagues are ONE WEEK LEAGUES. Thursday night players are not eligible for these leagues. Only eligible players are listed in the draft room - Bye Week players and Thursday players are removed from the Draft List. Winners are based on total points for the week using FFF PPR Scoring format. 1/4 of teams are paid so 3 places are paid for 12 team leagues. 10 - 12 teams --> 3 highest scoring teams receive payouts! 6 - 9 teams --> 2 highest scoring teams receive payouts! 4 - 5 teams --> highest scoring team receive payout! 2 ways to play - Pick Your Weekly Studs or Draft Your Playoff Team (Snake or Auction Draft). Fantasy Football through to the Super Bowl! Each playoff week (4 in all - 1st Wildcard Weekend, 2nd Divisional Playoff, 3rd AFC & NFC Championships, 4th Superbowl) you will submit a new lineup. You may choose any players you want so other entries may start the same players as you. A starting lineup will consist of 1 QB, 2 RB, 3 WR, 1 TE, 1 K, 1 D. There will also be one Tiebreak player chosen each week from any position. The object is to score the most points combined in the four playoff weeks. Scores will accumulate throughout the playoffs. The Tiebreak player is used only to break a tie between multiple teams scoring the same amount of points with the starting lineups after the entire playoff series. If there is still a tie then payouts will be split among the teams tied for those places. Deadlines for lineup submissions for all players will be 5 minutes before the first playoff game begins each week. You may edit your lineup up until deadline submission. The same scoring for players will be used as the regular season and DOES include Point Per Reception. All lineups will be viewable once lineup submissions are locked for the week. Each league may have up to 50 entries. If less than 50 entries, payouts will be prorated. You may have multiple entries per league. 20% of all entries will receive prizes. If the maximum number of entries (50) are entered then 10 teams will receive payouts. $25, $50, $75 & $150 leagues are available. FFF will attempt to fill each playoff league to the maximum entries of 50. Keep in mind, if there are less than 50 entries per league, fewer spots will be paid and the payouts will be less but you will have a greater chance at winning a bigger payout with less entries. Ex. if there are 35 entries in instead of 50, then 7 entries will receive payouts and each payout remaining from 1st through 7th will receive a slightly reduced payout. You will, however have a better chance at finishing in the top 7 with 35 entries than with 50 entries. League entry fee options are $29, $59, $99, $199 and $499. It will be a one-time charge for the entire playoff season. The FFF Live Draft room will be used to draft your playoff team. ALL Drafts are listed in Eastern Standard Time (EST). You will draft 9 players to field the same lineup for each of the 4 playoff weeks. Your lineup will consist of 1 QB, 2 RB, 3 WR, 1 TE, 1 K, 1 D.
All players from only the 12 NFL playoff teams will be eligible to draft. The 9 round draft is a serpentine draft and should take about 45 minutes to an hour to complete. Draft order is completely random. The 1st person to join has the same chance as the last person to join to obtain the same draft position. The object is to score the most combined points in the four playoff weeks. Points will accumulate throughout the playoffs. League Champions, 2nd and 3rd place (except $29 leagues where only the Champions and 2nd place) receive payouts and are determined by total points for all playoff weeks combined. Since some teams don't play each week, some of your players will not receive points on certain weeks. Scoring is based on FFF regular season ppr (point per reception) leagues. Draft position is determined randomly and is revealed when you join the league. Drafts will be held with 5 or more teams. Payouts will remain same percentage and pay out same number of places except for $59 and higher leagues will pay 2 places instead of 3 if league has 5-7 teams. - You have a $100 budget to build your roster of 9 players.